Greek gods were kind of boring. Zeus just looked like an old guy with a scraggly white beard. Hermes was just a normal looking dude with some wings pasted on his feet. Cupid was a flying baby. That’s all fine and good, but what if you want to be an ancient god that truly looks extraordinary? Then you need to look at all the Egyptian gods from the ancient world. Talk about extraordinary! Sobek was a walking talking crocodile. Sekhmet was a female goddess who had the body of a woman and the face of a lioness. But that’s not even the best god of them all! That title goes to Anubis. Yes, Anubis was the god of being awesome! Wait, that’s not right. He was actually the god embalming and mummification. He also held the important job of guiding the souls into the afterlife and judging whether or not mortals were worthy of entering the realm of the dead. But, most importantly, he had the head of a jackal! Can you name any Greek gods that had the head of a jackal? Yeah, we didn’t think so! 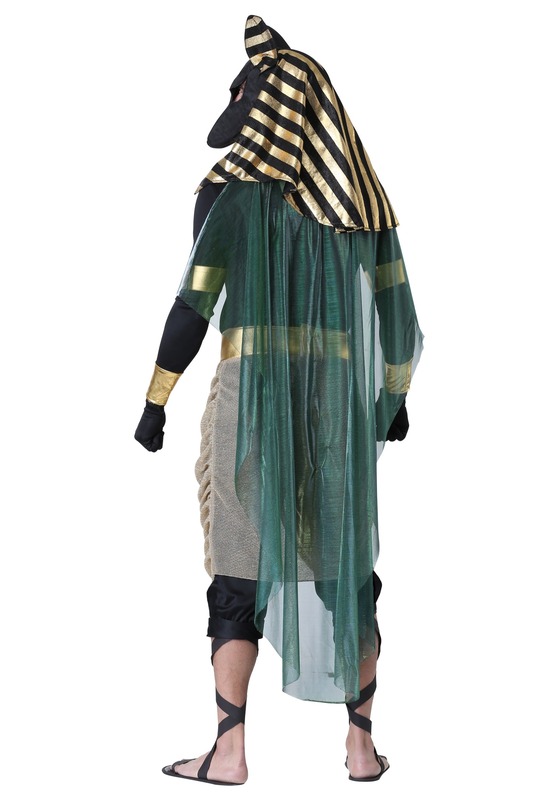 Now, you can look like the Egyptian god when you wear this plus size Anubis costume. It comes with a black top with a pair of matching black pants. The sash and waist belt help add an ancient Egyptian style to the look, while the collar adds the regal appearance of a pharaoh. Of course, we know why you’re here. You want to wear the awesome Anubis mask! It’s shaped like a jackal’s head and comes with a gold and black headpiece. 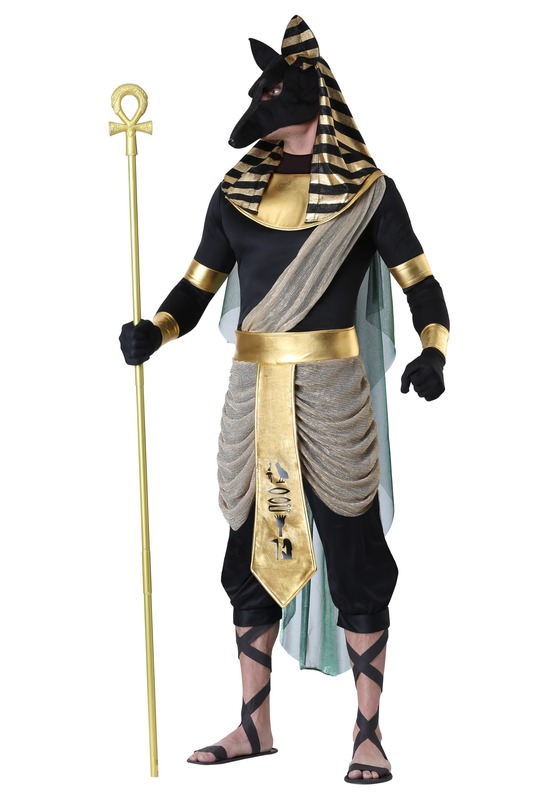 Once you have this Anubis costume on, you’ll feel anything but ordinary. Even Zeus will be jealous of your jackal-like face as he looks sadly at his boring lightning bolts.